Every year since 2014, King Crimson have promoted their tours with the release of a new box set. 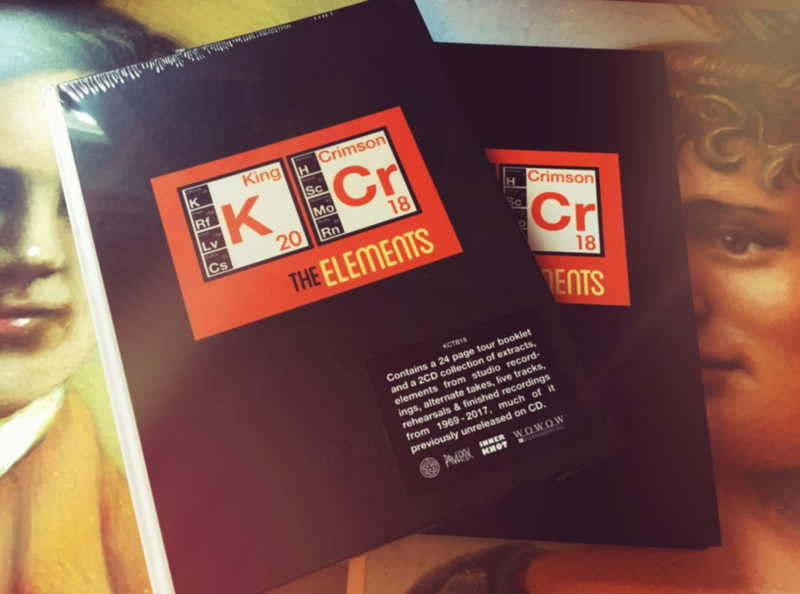 Today, the progressive rock icons have revealed the details of this year’s edition, The Elements Tour Box 2018. The 2-CD collection features a total of 31 tracks from throughout King Crimson’s career, including 17 recordings never before released on CD. The new material ranges from live tracks (a 1984 rendition of “Matte Kudasai”, a 2015 versions of “The Court of the Crimson King”) to alternative studio takes (“Cadence & Cascade”) to demos (“Discipline”, with Jakko Jakszyk and Gavin Harrison). Every one of the band’s lineups over the years is highlighted in the compilation. Packaged with the CDs is a booklet with notes by co-compiler Sid Smith, memorabilia photographs, info about the 2018 tour, and new photos of the current eight-piece King Crimson band. The album is available to purchase now, and you can find the tracklist below. Check out the King Crimson website for their upcoming tour dates.